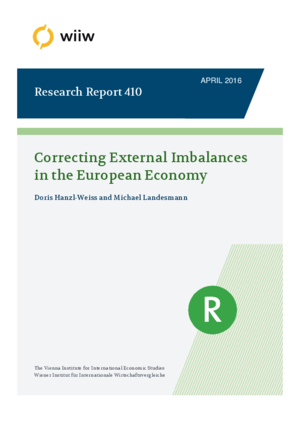 This paper examines current account developments in different country groups amongst the lower- and medium-income European economies (LMIEs) both prior to the crisis and following it. The Baltic countries, the Western Balkan as well as the Southern EU countries (Greece, Portugal and Spain) showed rather dramatic deteriorations in their current accounts prior to the outbreak of the financial crisis in 2008/2009, while in the Central and Eastern European countries current account deficits never exploded. What drove current account developments before the crisis and have external imbalances been sustainably corrected? We investigate whether and to which extent adjustments took place in terms of trade performance, real effective exchange rates and components of unit labour costs. Finally, we look at developments of the tradable and non-tradable sectors of the economy and find that ‘structural’ current account problems are grounded in persistent weaknesses of the tradable sector. As such, policy implications would entail that countries which suffer from longer-term ‘structural’ external imbalances have to strongly focus their policy attention on a recovery of the tradable sector.